Stede Bonnet, born about 1688, was a moderately wealthy landowner, a member of the aristocracy of Barbados. 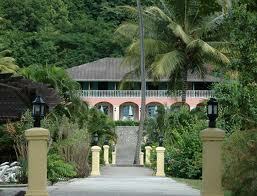 His family had owned land and slaves on the island for over ninety years. His 400 acres of farmland, 94 slaves, liberal education and service in the island’s militia all spoke of a successful life and his marriage to the daughter of another prominent landowner was further icing on the cake. And then he lost his mind. Bonnet had endured some tragedy. He was orphaned at the age of six, but had responsible guardians who cared for him and nurtured his estate until he came of age. And after his marriage, his first child, Allamby Bonnet, died in infancy. Neither of these events was uncommon for the time, but the death of his child seems to have thrown him into a depression. The birth of three healthy children did not console him. Friends said that he “Had a disorder of the mind,” and that it was caused by “some unhappiness in the married state.” I personally wonder if this means he was gay and in the closet. Since homosexual activity was both illegal and punishable by death at the time, he would have had strong incentive to hide any wayward sexual urges. Or it could simply be that he didn’t like his wife. At any rate, Bonnet came up with a daring plan. 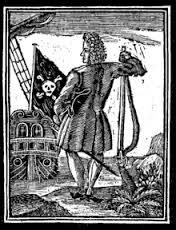 Though he knew nothing about ships, navigation, or naval warfare, he decided to run away and become a pirate. He went about this in the strangest way possible, commissioning a ship to be built and hiring officers to oversee her outfitting. He paid top wages for this work, since he needed to rely on their expertise. They selected and hired a crew, also for wages. Bonnet had been giving the excuse that he was outfitting a privateer vessel and wanted to hunt pirates. But even privateering vessels worked on the “No play, no pay” system of shares to the crews. Bonnet had enough money to see his eccentric plan through, and to get quality help. 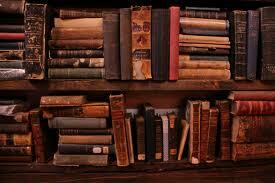 He spent most of his time outfitting the captain’s cabin where he intended to live, and fortifying it with an extensive library. His christened his ship the Revenge and set out for the American mainland, where he hoped to plunder ships without being recognized. On the way he encountered a Spanish man-o-war. With no idea what he was doing, Bonnet ordered the Revenge to attack the much larger ship. By the end of the battle, half of Bonnet’s men were dead and he himself was badly wounded. With their odd captain out of the way, the officers did what should have been done in the first place and ordered a retreat. The Revenge fled to the port of New Providence in the Bahamas, the fabled Republic of Pirates. He greeted the most notorious and dangerous men in the world while wearing an expensive dressing gown, and begged for permission to stay in the port to make repairs and heal up. The pirate lords conferred and agreed to shelter the odd man, but on one condition. Bonnet could keep the title of “captain” but a more capable man would be running his ship. None other than Blackbeard took control. Bonnet was in no position to argue. He shut himself up with his many books, and hardly came out while Blackbeard sailed the Revenge up the coast of North America, looting ships of all nationalities, and throwing overboard or burning cargo that wasn’t valuable enough to be worth carrying off. Blackbeard was completely in charge. When Bonnet bothered to come out on deck he wore his dressing gown and usually carried a book. 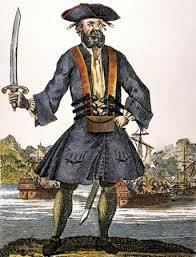 When Blackbeard captured and fortified another sloop, another man was put in charge. Bonnet remained in his library. Still, he fancied himself a real pirate. In 1717, when Blackbeard finally captured the great ship that he re-named the Queen Ann’s Revenge, Steed at last regained control of his ship. He also discovered a technique of piracy which worked for him. 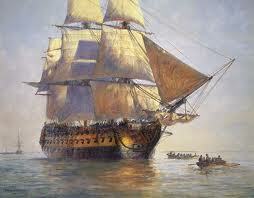 Coming near to a port, he sailed abreast of a merchant ship and invited the captain and officers over for dinner. He looked so little like a pirate that several captains fell for the ruse, even when the Revenge had forgotten to haul down her black flag. Once their officers were out of the way, Bonnet’s men found it easy to capture the merchant ships. Bonnet continued to sail in Blackbeard’s shadow, alternating between incompetency and depression until word reached the pirates that King George had decided that the only way to control piracy was to pardon all the pirates, giving anyone who had tired of the life or wanted to retire a chance to go straight. 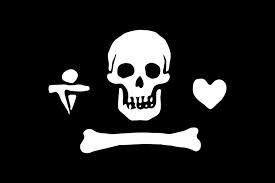 Bonnet, weeping over the chance to live a lawful life, sailed the Revenge to Charleston to take the pardon, and Blackbeard headed out in the opposite direction with most of their combined treasure and half of Bonnet’s crew. Bonnet had no sooner become a lawful citizen then he decided to become a pirate again. First he searched fruitlessly for Blackbeard, then he set off to St. Thomas, a Danish colony, to apply for a privateering license to loot Spanish vessels. Trying to give the appearance of lawful activity, even as his men took over the ship and began plundering every vessel they could find, regardless of nationality, Bonnet insisted that his men refer to him as “Captain Thomas” or “Captain Edwards” which fooled no one. He also renamed the Revenge the Royal James. But despite the name change, and the fact that Bonnet insisted on making token “payment” for their plunder (one ship received, as payment, a worn-out anchor cable) Bonnet soon found himself under attack by pirate hunters. On September 27, 1718. Two ships under command of Colonel William Rhett found the Royal James and a full-scale sea battle ensued. During the battle, which lasted five hours, all three ships ran aground. The pirates fought bravely, killing 14 of Rhett’s men with musket fire, but surrendered when the rising tide lifted Rhett’s ship clear, leaving the pirates stranded. Bonnet was taken to Charleston for trail, but the authorities did not know what to do with him. The law said that pirates must be hanged, but Stede Bonnet was a “gentleman.” More importantly, many of the people of the town had profited handsomely from trading with the pirates for stolen goods. For these reasons, it was decide to hold Bonnet in a private home, guarded by members of the militia, instead of forcing him to share a jail cell with common men. In spite of these precautions, and possibly with the help of the homeowner, Bonnet escaped and paddled off in a canoe. Civil unrest immediately took over the town, an event mentioned in local history as “the disturbances,” as pro-pirate and anti-pirate factions rioted in the streets. The authorities belived that the best way to quell the riots was to start hanging pirates. 22 of Bonnet’s men were tried and hanged between October 28th and November 3th. Bonnet himself did not get far. Bad weather forced him to take shelter on an island only 4 miles from Charleston, and he was soon re-captured by Rhett. At his trail he made such a pathetic plea for mercy that local ladies pleaded for his release, and some gentlemen of the town took up a collection to have him transported to London so the King could hear his case. Though his execution was delayed seven times, and Bonnet wrote a pleading letter to the governor, his fate was sealed. On December 10th, 1718 Stede Bonnet was led to the gallows and hanged, putting an end to what was probably the most incompetent pirate career in history.